Interpreters are obligated to listen and render a verbatim of what we hear. This is a uniquely challenging occupational task, because it is unnatural for humans to ignore what we see people do and suppress reactions to what we hear people say. Even at the subconscious level humans react to this stimuli. I saw a CBS Sunday Morning segment on autism and it mentioned a study on attention at The Mc Govern Institute for brain research at MIT http://mcgovern.mit.edu/ . Brain scans showed standard neuro stimulation when we faced a person and they faced us or looked away. Whether a witness is looking at me or not is the least of my concerns in a legal proceeding. I am even ignoring the discerning stares of the Judge, the jury and the attorneys. But it was news to me. that, beyond my control, my brain is reacting to the physical behavior of others. I realized we interpreters are highly adept at controlling our conscious reactions and we stifle subconscious reactions. We don’t act on them. If we do, we will lose focus. You can witness proof of interpreters excelling at this process of focus, when an untrained bilingual disputes the interpretation provided by a professional interpreter. The challenger will emphasize and spend time expressing their dissent. They display excitement over their detection. They look at the others around them soliciting support for their opinion, avoiding eye contact with the interpreter. They emphasize their bilingualism. Their tone is challenging and self-justifying. The last thing they do is to repeat the words they are challenging. But since that isn’t their priority or focus, more times than not, their recall is faulty and they admit not being able to repeat the words verbatim. Meanwhile, the interpreter’s demeanor is the opposite. The interpreter is subdued because he or she is sorting through their metal hard drive of what we heard spoken and what we interpreted. Even during this interruption, that is our focus. Our sole center of attention is on the words spoken. We have no personal agenda. Legal interpreters have no vested interest in the outcome of the case. We have no bias. Our task is all consuming and difficult enough as is. The message is a ticker tape of words running across our minds. Shutting out external stimulation is a real skill. What caught your eye in the photo from the Hot Air Balloon Fiesta in Albuquerque, New Mexico? 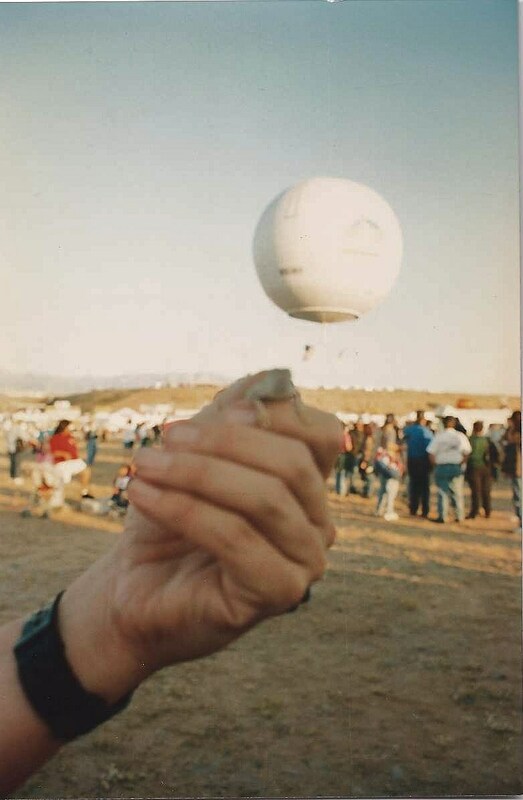 The gas balloon looming in the horizon or the teeny tiny lizard we found on the launch field? What we do is a process of hearing without feeling any emotional reaction to what is being said. We focus on the words, tone and register that we hear so intently, that we perform machine like. Some of us call it being in the zone. And it does become more automatic the longer you perform and develop the skill. But at least our brains still sense all the stimuli even though we don’t react to it.